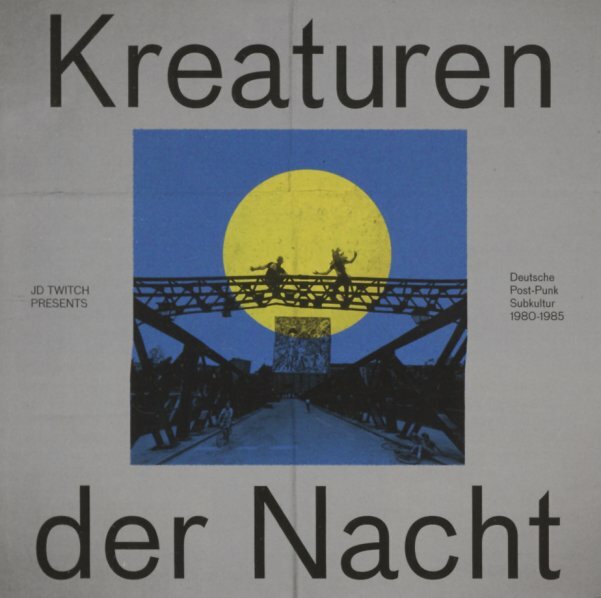 A totally great collection of work from the German scene of the early 80s – a time that's often referred to as the German New Wave – although the music was usually a fair bit darker than any new wave sounds in the Anglo world! Instead, maybe think of this work as a cool compression of ideas that were floating around during the Krautrock generation – a shortening of prog rhythms, electronics, and production – infused with a bit of punk energy, but never too much – so that there's a sharper, more focused sound overall – but one that's still full of all these great sonic experiments! The language enough is something that really sets these songs apart – and at some level, you could almost argue that it's styles like these that the German pop language was waiting for after all these years – perfect for the mood, even if you can't understand the meaning – on titles that include "Your Turn To Run" by Malaria, "Der Karibische Western" by Die Haut, "Track 4" by Mania D, "Fred Vom Jupiter" by Andreas Dorau & Die Marinas, "Voyager One" by Stefan Bloser, "Amanita" by Leben Und Arbeiten, "Fakten" by ExKurs, "Pingelig" by Aus Lauter Liebe, "Scharfer Schnitt (no 1)" by Populare Mechanik, and "Offnen Sie Mal Ihre Tasche" by Franz Erlmeier & Fritz Kostler. © 1996-2019, Dusty Groove, Inc.